The Honeywell Dolphin 7900 Mobile Computer packs all the performance and durability of the Dolphin 9500 and 9550 in a PDA-like, easy-to-use design. 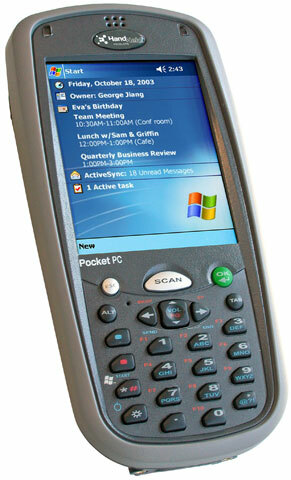 The Honeywell Dolphin 7900 is ideal for change management, customer service, computer-aided ordering, store transfers, voice communications, portable point-of-sale, product information lookup, and dozens of other mobile applications. Dolphin 7900 Holster with belt loop and pocket for spare battery. Non-Cancelable/Non-Returnable. Dolphin Series RS-232 charging and communications cable. Non-Cancelable/Non-Returnable. Dolphin 7900 handstrap with easy release clip. Non-Cancelable/Non-Returnable. The Honeywell 7900L0P-411-C20E is also known as 7900L0P-411-C20E	or 7900L0P411C20E	.